Thia is one of the most beautiful spring flowering Asian lilies. 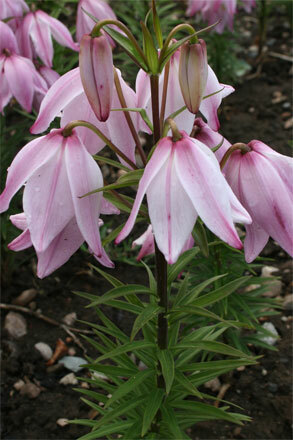 The delicate pink flowers grow on strong 30cm stems and are produced in early June. When happy each stem can have up to 8-10 flowers. It love rich well drained compost in a semi-shady position. Plant 10cm deep.